★★★★☆ Lots of range, buttons in handy location so it is easy to control all features. Would like good way to find which sound represents each type of radar or laser signal. ★☆☆☆☆ Do not buy this device! It beeps all the time! It beeps even if car is in the garage!! I have a 15 years old 9 bands Cobra radar detector and it is so much better than this one!! It has the voice alerts and it has compass. It displays the name of alert and displays the strength as a vertical bars. This one has nothing!! It only can beep. I put two of them next to each other and went on highway. In 25 miles drive my old radar was silent all the time and this junk gave me almost 20 false warnings for K band with levels 4 or 5. But there were no police around! And you can use it only when your car radio is off! When you turn on your radio this junk starts beeping! In addition only two setting out of 6 are working. IntelliMute cannot sense the engine revs, so IntelliMute Pro does not work. You cannot change alerts on X,K and KU bands. Well... 15 years ago Cobra radars detectors were made in America. Today they made in Philippines... Things are getting worth, but more expensive... I am very disappointed in this "Cobra XRS9370 High Performance Digital Radar/Laser Detector" and would not recommend it to anyone. ★☆☆☆☆ This device is easy to hook up and mount in the vehicle. But that's it!!!!!!!!!!!! It has way too many false alarms. No matter which setting it is on. I finally just turned it off. I rate it as useless and would recommend this product to no-one!!!! I am extremely disappointed with this detector. 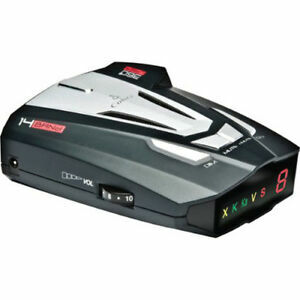 I have purchased other radar detector's from Cobra and used them and was completely satisfied with them. ★★★☆☆ 3rd Cobra I have used. The last Cobra radar detector I had a voice alert to tell what band was being detected, This one has difference tone for each band. The icon on the detector light up upon a alert , but are fairly small and hard to see. Some of the newer cars are using now using radar for blind spots and back up warning that will give you a false warning. Finding Audi are the worse for setting off the detectors. ★★★★★ I bought one of these units about a year ago and am planning to buy another one for my other vehicle. The unit works great and detects many police cars before they even come into sight. If the unit is set to highway mode while in the city it will pickup the signals from automatic garage doors, automatic store and business doors close by, security gates and many other devices. On the highway it will pickup the signals emitted from the rear bumpers of other automobiles that have rear object detectors, especially BMW and Toyota vehicles. In areas with a lot of traffic congestion it is hard to use due to the many signals it picks up but police can't really use radar in high congested areas anyway. I use it for mostly open highways or driving through areas where there are known speed traps or likely to be police using radar such as in neighborhoods, etc. It's a great unit for the price. Mine has only detected laser once but it gave me a long distance warning. Overall, I'm well pleased with it.